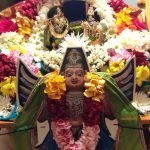 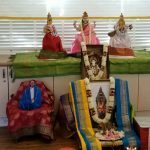 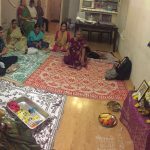 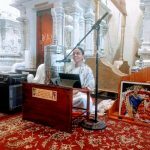 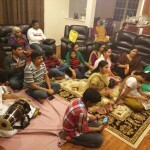 By the immense grace of Sri Lord Hari and the abundant blessings of Sri Swamiji, VA GOD satsang celebrated Vaikunta Ekadasi with Nama Sankirtan from 7pm – 12 am on December 31st 2014 at the residence of Sri Sathya and Smt Vijaya. 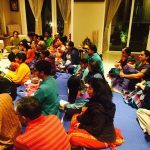 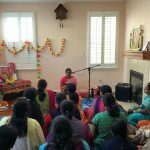 On New years day, VA GOD satsang started the New Year with Nama Sankirtan at the residence of Sri BalaJi and Smt Abi. 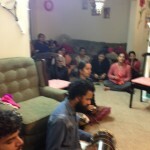 Close to 25 devotees enthusiastically took part in Nama chanting on both the days.